So far we've had Wi-Fi which has grown to include WiGig, wireless gigabit network connectivity. (Remember when the move from 11Mbps to 54Mbps was a big thing!) Now we'll move to WiGig, touted to run 3x as fast as today's technology. But hey, we're jaded and think, "OK, that's an expected transition." 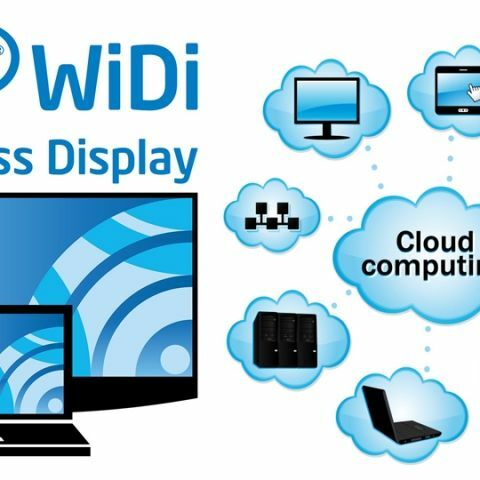 And we've had WiDi (wireless display) and Pro WiDi for business which just keeps improving with each release. Casting to a second screen is commonplace these days, but we haven't really thought of it for laptop docking to our desk monitor, until now. So we've got fast network connection without wires and connection to our monitor without wires but what about the rest of Wireless Docking? Well there's Bluetooth to sync the keyboard, mouse, and earpiece and that same WiGig can connect us to plenty of storage. The only cable left is the power cable (the brick). So wireless charging? Sounded impossible for many years, but Intel has already demonstrated the wireless charging bowl for small device charging. As part of the Alliance for Wireless Power (A4WP), Intel started small with very localized wireless charging, good for phone size devices. Then at IDF 2014, Kirk Skaugen demonstrated charging a laptop sitting on a 2" thick table with a magnetic resonance pad underneath. Simply set the Intel based 2 in 1 down, and it's charging! Put these in coffee shops and other commonly used mobile locations and you'll be able to ditch the power brick. Put one on your desk (or possibly under if, it's not too thick) and set your Intel based 2 in 1 down and everything automatically connects. Securely - even in an office setting. Which wireless technology does wireless router use?